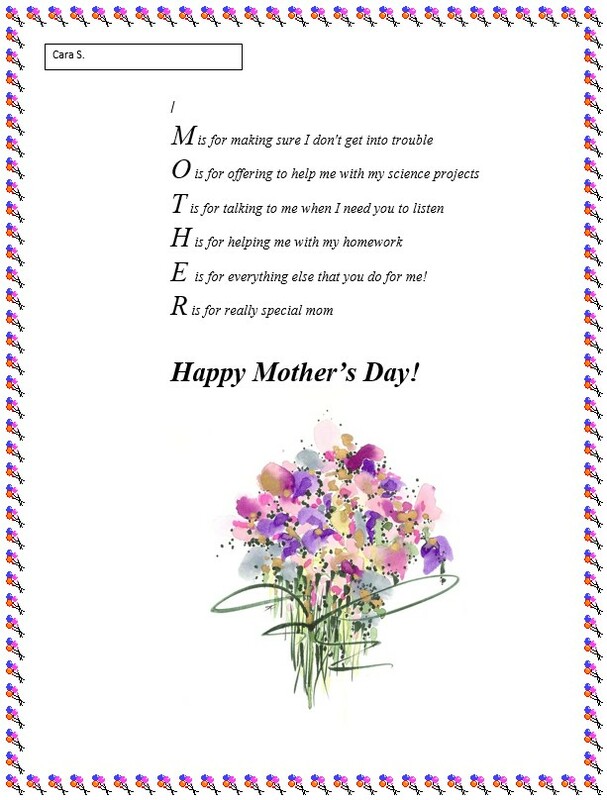 Write your own "Mother's Day Poem" by filling in the text boxes. When you are finished, click the button at the bottom of the form to generate your poem. Copy and paste the results into a word processing program, format it with the size and font style of your choice. Print. Students copy and paste the finished Mother's Day Poem into a word processor. Students format text add their name, and add an image of their choice.